Are You Living With a Hired-Help Mentality? It is important to evaluate why we do what we do. Yes, we are purposefully designed to be doers, yet there are times when we use our doing as a means to cover up what lies beneath the surface. Some doers bury their hurts by staying busy. Others “do” in an effort to earn blessing. Yet avoidance and manipulation are offsprings of unbelief. Often issues such as control, insecurity, worry, proving, and even avoidance can be traced back to a lack of trust. At least that is the case for me, because if I really trusted God, wouldn’t I be more at peace on the inside? If I really believed in His sufficiency, wouldn’t I rest more easily? If I really took Him at His Word, wouldn’t I be freed from fears? A pastor’s wife told me she felt God say to her, I want you to take care of your family and also those sitting beside you. She responded with something like “That’s all fine and good, but who is going to take care of me?” God reassured her that He would. Does His response reassure you? That He will take care of you and be responsible for you? I sometimes struggle to believe this, mainly because I am not sure God will take care of me as I want Him to. He has proven Himself faithful time and time again, yet because unexpected circumstances have taken me by surprise on more than one occasion and there are situations in my life devoid of neat and tidy resolutions, I am skeptical. And isn’t that like big sister Eve? She believed the lie that God was holding out on her and that He wasn’t completely trustworthy. She took matters into her own hands, in the form of forbidden fruit, and was wise in her own eyes, blinded to truth. I think she forgot she was a beloved daughter of a good Father. Read more about the hired-help mentality over on Kim Hyland’s Winsome Living blog…. 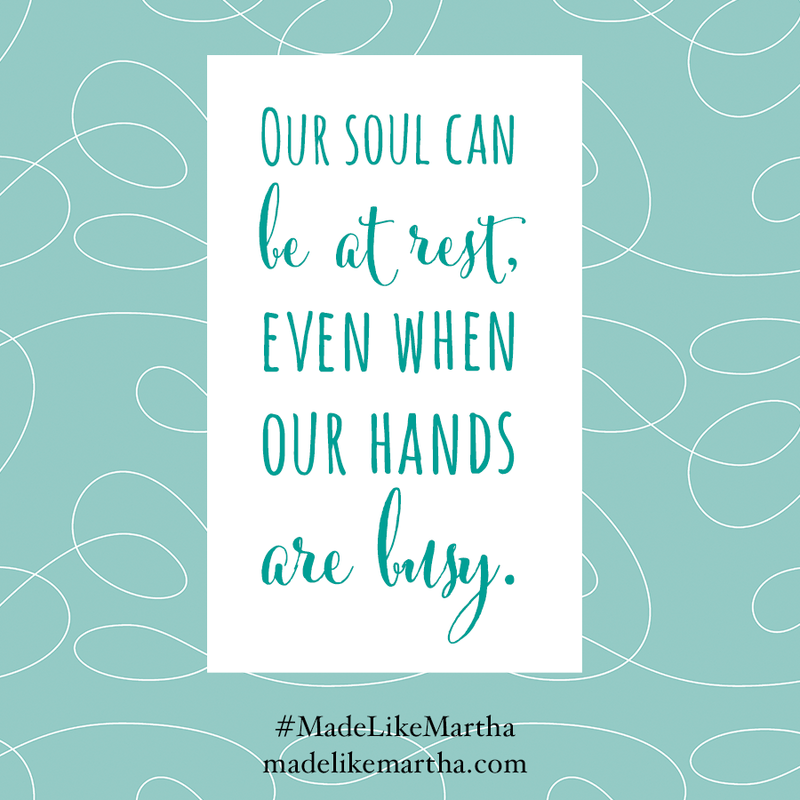 *This post is excerpted and edited slightly from Made Like Martha: Good News for the Woman Who Gets Things Done by Katie M. Reid, published by WaterBrook Press.